Toy cars have been around for as long as there have been cars. Toy cars run the quality line from high-detail die-cast models to simple plastic frames on metal wheels. Some models are meant to be played with, other meant to just look good. Some toy cars might have a feature that makes tham more than a frame on some wheels: a steering wheel, light up lights, etc. For a couple of years we have been offering various wind gnereating kits such as the Savonius Wind Turbine. These kits do quite well but schools may find they need more to teach energy generation as part of a STEM program. So now Picoturbine offers multiple kits for Wind and Solar energy generation. There are several designs that depend on the size & design of the windmill (Mini, Standard, and Limitless) as well as the systems ability to generate AC, DC or both. 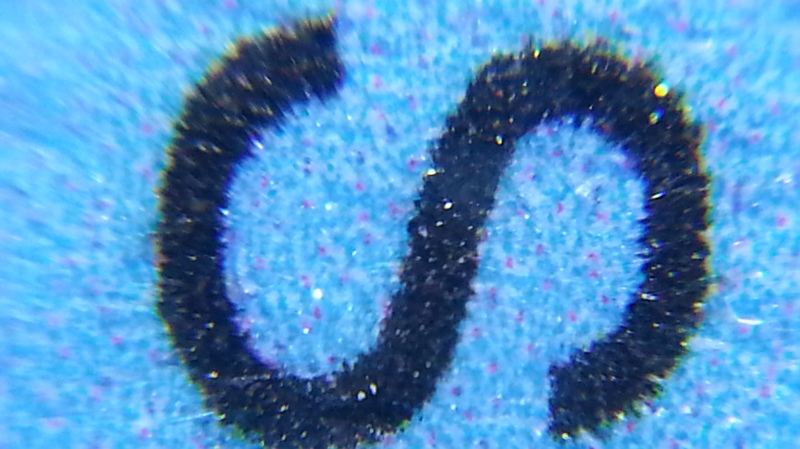 This is a continuation of the Universal Smartphone Microscope Part 1 entry. Now we attached the microscope to the smartphone. 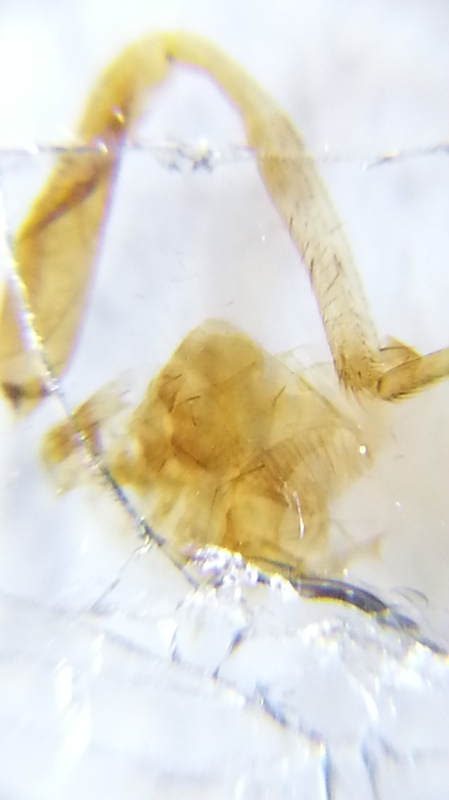 It very quickly becomes apparent that aligning the microscope to the smartphone camera lens isn’t hard, but getting it aligned exactly is much harder. This will become apparent when we start using the microscope. When you first attach it and do some basic alignment you will note there is a lot of vignetting – so you will need to zoom in by using your touchscreen. Not a bad image, although there is some glare from the light coming from the side – this side-lighting does have the advantage of giving some depth to three dimensional objects, but lacks the diversity of a ring-light illumination or inspection microscope’s top-down illumination. You may also notice the image is a bit out of focus at the far left and right parts of the image. Better alignment might have solved this issue. 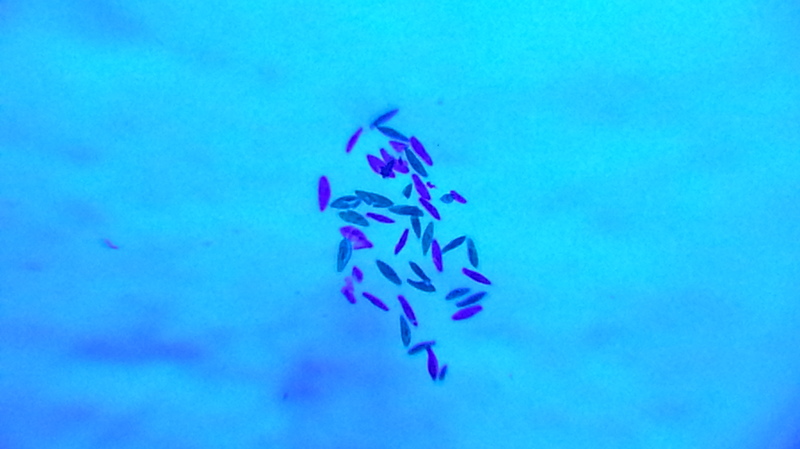 Then it was time to see how it does with other items, we took some microscope slides we had in the store. 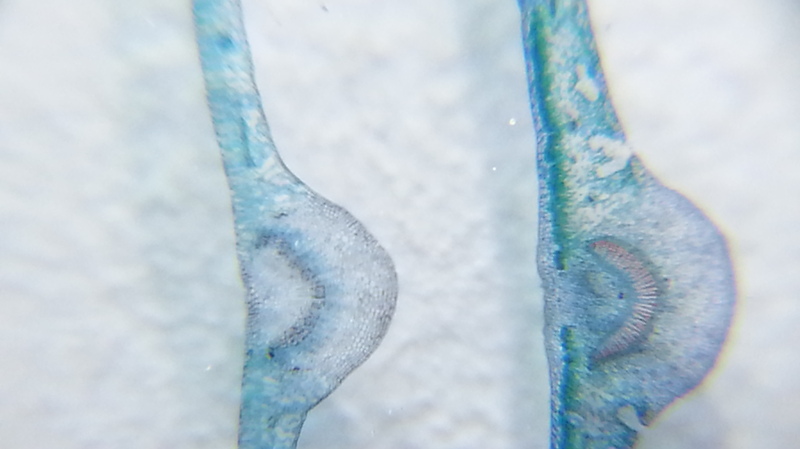 The first was a slide with 3 cross sections of plant leaves. Only two were visible i nthe field of view. 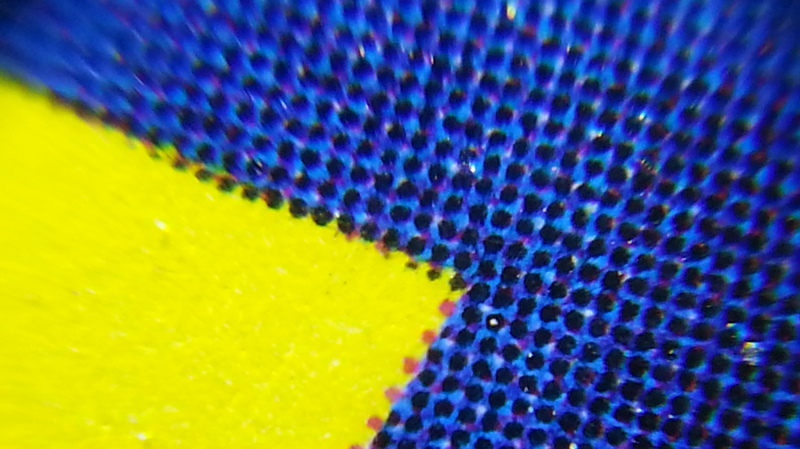 As you can see if you expand these images, there was still some blurring at the edges. 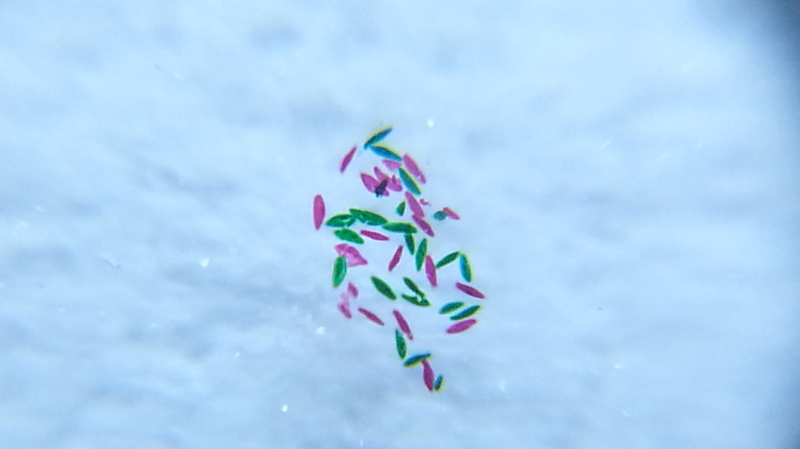 If had taken more time aligning the microscope we might have resolved this issue, but all things considered, we were impressed with the images we got, especially given that this is just a $12.95 microscope! 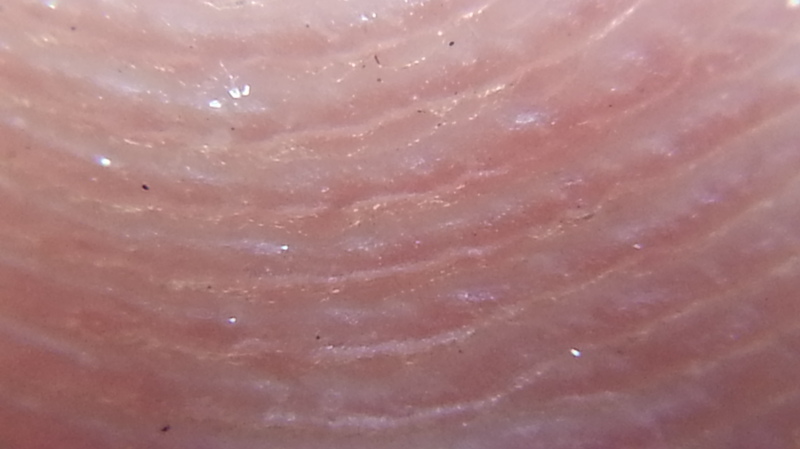 In conclusion – the Universal Smartphone Microscope is not a replacement for an actual microscope – mostly due to the edge focus and other minor issues – but for a low price you can have a decently powered microscope camera in the palm of your hand! 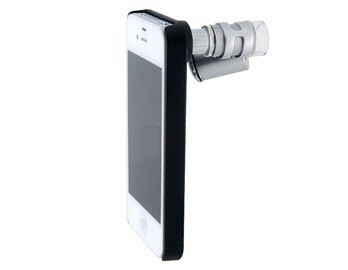 Want to buy the Universal Smartphone Microscope? The fact that nearly everyone is carrying a Smartphone, and therefore a digital camera in their pockets lends itself to some wonderful solutions with just a bit of accesorizing. Lab equipment is being designed around the Smartphone and you can expect more such items in the future.